Kashagan. 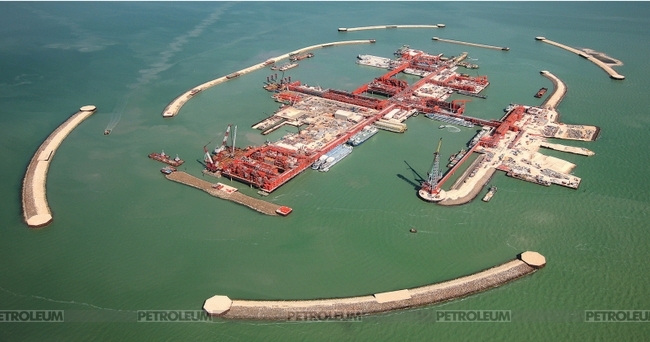 A huge hydrocarbon field in Kazakh part of the Caspian Sea. The unique project implemented by the international North Caspian Sea Consortium. 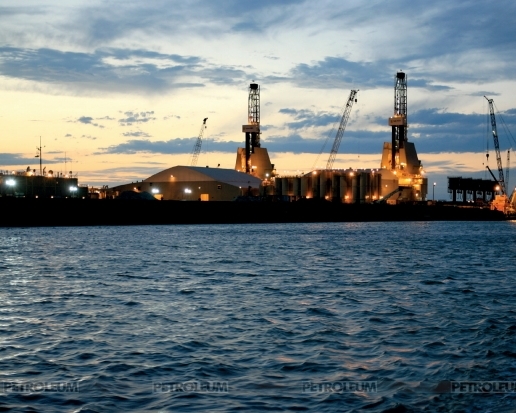 On 11 September 2013 NCOC announced on behalf of the Consortium about the opening of the first well and production of the first barrels of oil. 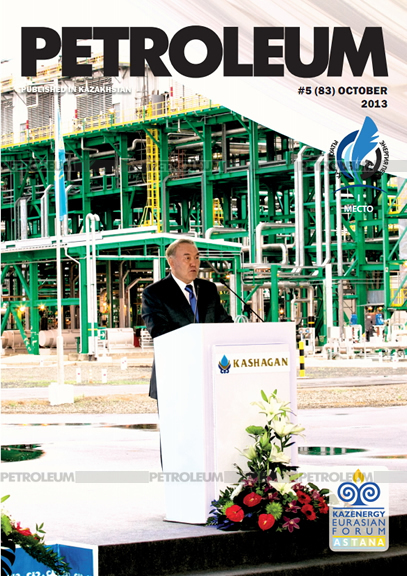 The investments of billions, unparalleled technologies, and mainly the unique equipment designed and manufactured for the project - all of this is Kashagan project. It is also a powerful impulse to social and economic development of the region and Kazakhstan on the whole. Over 15 years of work the Kashagan project has trained and opened up the doors to hundreds of highly qualified local oil and gas professionals, and helped dozens of local companies to organize their operations according to the highest international standards. The Consortium seeks to maximize the share of local goods and services in a sustainable manner, in accordance with the provisions of the North Caspian Sea PSA, the laws, plans and tasks faced by the Republic of Kazakhstan. The Operator of the project has developed a systematic approach and adopted a long-term program aimed at increasing the local content share. It aims to determine the capability and potential of the Kazakh market, increase the capacity of local suppliers, and improve the professional skills of workforce to maximize the local content during implementation of the North Caspian offshore fields development project. The Program is particularly aimed at increasing the local content and maximizing the participation of local producers of goods and services in the project. In order to expand the production capacity of local companies and enhance their competitiveness in their industries, in 2006, the Operator implemented the strategy of training and certification of suppliers for compliance with ISO and OHSAS. To date, 71 local companies have successfully completed the training and received certificates, and 16 more companies are in the process of training. 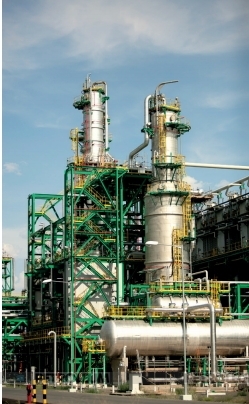 Apart from this, the Consortium initiated funding and certification of domestic plants according to recognized international standards of the American Petroleum Institute (API) (Ust-Kamenogorsk Valve Plant), the American Society of Mechanical Engineers (ASME) (West Kazakhstan Engineering Company and Petropavlovsk Heavy Engineering Plant), and the American Society of Mechanical Engineers (ASME) (West Kazakhstan Engineering company and three local companies are certified according to ASME). Having an international certificate offers not only image-building advantages to local companies, but also quite tangible economic benefits. After obtaining an international certificate, local suppliers can not only actively participate in tenders for NCOC and Agents' contracts, but also improve the competitiveness of their products and services by participating in projects all over the world. The consortium actively seeks to build partnerships between foreign and local companies. The need to promote the partnership is caused by transferring of the technology and know-how, identifying the potential of long-term competitive advantages based on the main opportunities existing in Kazakhstan and the local experience. The Consortium aims to promote the new enterprises in Kazakhstan, which are capable to extend their participation in local, regional and international markets. As a result of work carried out by the Consortium, more than 70 joint partnerships provided and are providing their services to the project. Construction company "Temirzhol Kurylys Atyrau" (TKA) is an excellent example, which shows how the business in Kazakhstan is waxing in size and strength year by year in cooperation with NCOC. Experience has shown that TKA is able to simultaneously build multiple facilities of high complexity. The company specializes in construction of roads, railways, bridges, train stations, arranging communication and power supply on the railroad, landscaping and etc. TKA has its own asphalt-concrete, crushing and sorting factories. It also owns a water-bitumen emulsion production unit. The company has its own geodetic service, construction laboratory, 132 units of vehicles and construction equipment, 42 pieces of equipment and machinery. Each year, "Temirzhol Kurylys Atyrau" proves its compliance with the System of Quality Management ISO 9001:2008, Environmental management ISO 14001:2004, and the Occupational Health and Safety Management OHSAS 18001:2007. And each year it passes the qualification of suppliers of the North-Caspian project . Indeed, this is the cooperation one can be proud of.